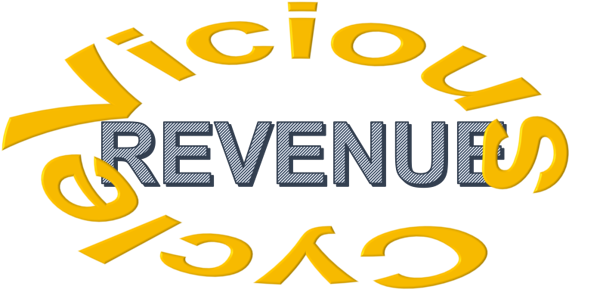 Much has been written about the revenue cycle and how to recover insurance payments for medical services rendered. There are various methods to track the missing payments, and even ways to see what information is missing to attempt recovery. Various algorithms have been developed to more accurately determine where to find the missing data and subsequently and efficiently resubmit claims. Each of these different methods has various costs and utilities which can be analyzed. Cost Effectiveness Analysis (CEA) is clearly an accurate method to determine which of these approaches is the most efficient to use. It can compare two different methods, or even a group of different methods used in unison to determine how the group of recovery methods act in total towards an efficient recovery of healthcare dollars. By using custom decision trees, one can explore the relationship between two or more of the recovery methods, and even rank the various methods. For example, some use a manual search to decide which accounts need to be resubmitted, whereas a more expensive automated search engine is available. Which to use? CEA can help figure that out. It can take into consideration how much one is willing to pay, and what ratios of recovery yield the most desirable returns for a given organization or situation. Since the construction of the CEA model is customized to a particular situation, a new or specific method can be examined and compared to standard approaches. This can lead to increased efficiency in recovery of insurance claims and better cash flow for the organization. William Matzner, MD. is a recognized expert in Healthcare and Neuro Economics. With a Ph.D. in Economics, MBA and Medical Doctor degree, Dr. William Matzner will provide you with expert analysis on health and wellness programming, populations health management, disease management, new program development, facility development, equipment acquisitions, and other healthcare programs, acquisitions and initiatives. For more information about cost effectiveness analysis and improved financial accountability for your organization, visit Dr. Matzner at http://healthcareanalytics.biz. Dr. Matzner is also available for speaking engagements, retreat presentations and topic specific addresses.